Diabolical Disorientation: Think you’re immune? With the coming of the letter’s 50th anniversary, any number of so-called “traditionalists” (aka Catholics) pointed to Cardinal Ottaviani’s exhortation as evidence that the conciliar text had become a source of confusion and turmoil in the Church – and on many of the same points so hotly contested today – almost immediately upon its promulgation. Indeed, it is amazing just how well the Pro-Prefect’s observations speak to the present situation in the Church. – The ordinary Magisterium of the Church, particularly that of the Roman Pontiff, is sometimes neglected and diminished, until it is relegated almost to the sphere of a mere opinion. – Some almost refuse to acknowledge truth that is objective, absolute, stable, and immutable, submitting everything to a certain relativism, with the pretext that every truth necessarily follows an evolutionary rhythm according to conscience and history. – Some consider of little account the doctrine of the Council of Trent regarding original sin, or explain it in a way that at least obfuscates the original fault of Adam and the transmission of his sin. Today, each one of the aforementioned opinions and errors feature rather prominently, not just in the writings of certain prelates, but in the Apostolic Exhortation, Amoris Laetitia! 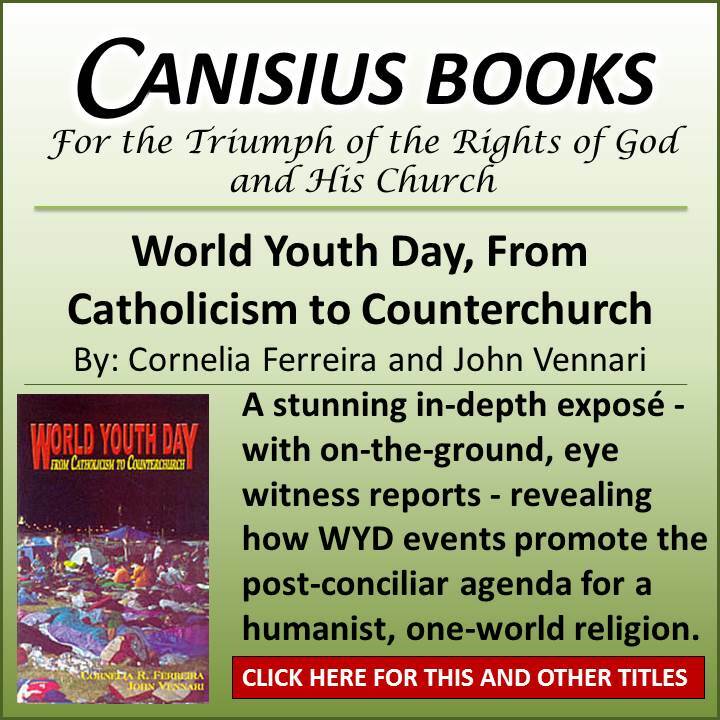 While all that has been said of Cardinal Ottaviani’s letter thus far is noteworthy indeed, there is another, more intriguing, aspect to the text that has been largely overlooked. All of the people of God are bound by the grave duty to strive with all diligence to put into effect all that has been solemnly proposed or decreed, under the influence of the Holy Spirit, by the universal assembly of the bishops presided over by the Supreme Pontiff. 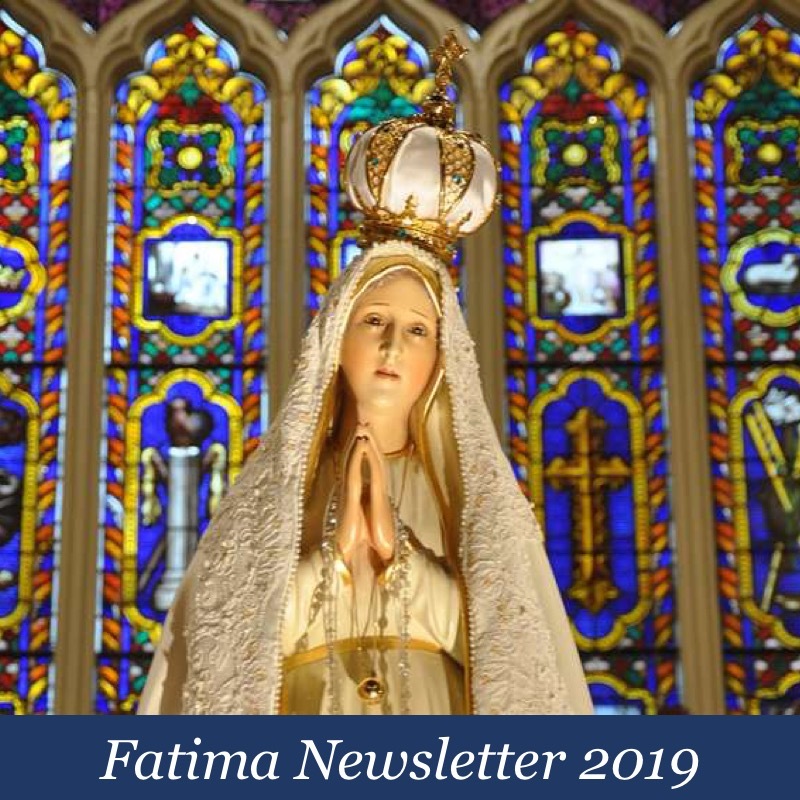 Staunch defender of the Faith though he was, even Cardinal Ottaviani wasn’t immune to the disorientation of which Our Lady of Fatima forewarned. The reality is that the crisis he was addressing, the same through which we are currently living, is not simply a matter of misinterpretation and faulty implementation of the conciliar doctrine; it is the result of ambiguities and errors in the text of the Council itself. Bearing in mind the Biblical caution concerning “a little leaven,” this text has no “merit” as Cardinal Ottaviani suggests. As for its “spirit,” it’s hardly necessary to state the obvious. Lastly, the good Cardinal was just plain wrong to suggest that “the people of God are bound” by the conciliar propositions. So, what does all of this demonstrate? Apart from Divine assistance, no one – not even a giant of the Faith like Cardinal Alfredo Ottaviaini – is entirely immune to the confusion that is sown by the hand of the Master Deceiver; in the present case, as made manifest in the event and decrees of Vatican Council II. Knowing this, and ever solicitous of our wellbeing, Our Blessed Lord sent His mother to three shepherd children in Fatima in 1917 to forewarn us, and to show us the way to avoid falling prey to diabolical disorientation. This is why Our Lady asked that the Third secret be revealed in 1960, saying that “it would be clearer then.” She tried to protect us! We all know what happened. Devious men chose to ignore her, and for this a price must be paid, in justice, one that affects both the good and the bad. Stay very close to Our Lady, that she may take us under her mantle and shield us from the wiles of the Devil. S.H. So if you say that the proper way to interpret the Council is in the light of the “new philosophy,” how must the Church deal with this Council? H.L. (Bishop Tissier de Mallerais) I will say, one day the Church should erase this Council. She will not speak of it anymore. She must forget it. The Church will be wise if she forgets this council. Apparently, Bishop Tissier de Mallerais holds the 1968 Rite of Episcopal Consecration as invalid, and the 1968 Rite of Priestly Ordination as gravely doubtful. Even if the new Ordination rite is valid, it is of no effect whatsoever if the Bishop using it is himself consecrated in the New rite. It is worth anyone’s time and effort to look into this serious matter for himself/herself, as the implications, if the argument holds water, are catastrophic. Benedict XVI was himself ordained to the Priesthood in 1951, but consecrated as a Bishop in the 1968 rite of Paul VI, who, of course also gave us the Novus Ordo Missae. Jorge Bergoglio was ordained a Deacon in the old rite, but ordained as a priest and consecrated a bishop in the new rite. I have been through the painful mental anguish of sorting through the scenario you describe. I then read all the books about Our Lady of Good Success. In the 1600’s under the title of Our Lady of Good Success, Our Blessed Mother promised that a saint, a victim soul, would live in Her convent in Quito, Ecuador, until the end of time. I have since dismissed the anguish of these thoughts (that perhaps we have NO VALID clergy), knowing that if a saint could live under these conditions with only the daily Novus Ordo Mass offered to her in her convent, then the new ordinations (although perhaps repulsive to God) must be considered valid. I do not mean to make light of this terrible scenario that you mention above, only that, as Cortez said so well in one of the previous posts, I do not have to worry about that one. Our Lady of Good Success will triumph. Also, Fr. Ripperger, an exorcist, reported that he is not able to do exorcisms unless he has the permission of the Bishop of the diocese that he is in. Thus, proving that the authority of the Bishop, (who was, no doubt, consecrated to according to the new rite) is valid. God is accepting the bishop’s authority. In times like these, I am hoping in that. I hear you, and you make some interesting points. However, the Magisterium of the Church is superior to private revelations and concrete experiences of individuals, and if there is a contradiction, then the Magisterium must have the final say. Otherwise, we end up in the personal experiences of evangelicalism as a new magisterium. If we compare what Pope Pius XII said in Sacramentum Ordinis, regarding what the essence of the sacrament of Holy Orders is, and what is necessary for validity, and compare it to Paul VI’s 1968 rites, then there is a very serious doubt, or even plain certainty, about the new rites failing to produce the sacramental effect. Pius XII only defined the form for the traditional Roman rite, not for the Eastern Rites, or for a new rite. Therefore, the new form of ordinations must be judged the same way that eastern rite forms are judged. He said that the form must mention both the Order being conferred and the grace of the Holy Ghost. The 1968 Paul VI rite of episcopal consecration does not mention both. The term “governing Spirit” is ambiguous; it either means the Order of the Episcopate or the grace of the Holy Ghost. The translators themselves did not even know what it meant, but according to what Pius XII defined and taught as necessary, it does not meet the criteria for validity. All you have to do is look it up and see for yourself. The Novus Ordo is clearly a new rite from the Latin Roman rite. Therefore, Pius’ XII definition of the form does not apply. The Novus Ordo is for more different from the Roman Eite than Eastern rites are from it. Are you saying that if were to evaluate the 1968 rite in light of Sacramentum Ordinis, it would be invalid? Did Paul VI say that the new rite is not the Roman Rite? If Sacramentum Ordinis applied, then I think the episcopate consecration would be invalid and the priestly ordination would be doubtful (but I think still valid). Paul VI said the Novus Ordo was a new rite of mass. Novus Ordo means new missal. However, I do not care what he said concerning this subject. You would have to be blind, death, and dumb or willfully stupid to think the Novus Ordo is the same rite as the Mass of all Time. The Old Mass has far more in common with Eastern Rites. I don’t think the Novus Ordo has anything to do with Catholicism, and actually causes people to lose their Faith. But if you accept Paul VI as a true and valid Pope, and not a wretched, godless impostor, then it doesn’t matter what I say, or about what you say, but what Paul VI said. As long as you hold him to be Pope, then he has the final say on the matter, and not even Fr Hesse can match his authority. H.L. No, no, no. He never discussed the matter, never. No, no. S.H. So there has never been a question in the Society about the validity of any of the new sacraments? H.L. Archbishop Lefebvre never discussed the validity of Episcopal consecrations. S.H. No, not about the episcopacy? H.L. I do not know his mind on this subject. The new rite regarding Episcopacy, he did not know it. He did not study these matters – or read it. Because simply, he continued with the Old Rite. “Archbishop Lefebvre had correctly seen and described the evil of our time, of society, and above all the evil in the Church. This evil is called quite simply liberalism. It is this conciliation, this attempt at conciliation between the Church and the world, between the Catholic faith and liberal principles, between the Catholic religion and the thought that sprang from 1789. It is all there, the whole problem lies there. All the rest is nothing but theoretical, subtle, sophisticated proofs by modernist theology to justify this adaptation made by the Second Vatican Council and by the authorities with the world that sprang from the French Revolution, with the liberal world. And I would like to quote to you some remarks that we owe to the man who was then Cardinal Ratzinger, in which he simply and clearly affirms precisely that. Out of a concern for fidelity and accuracy, I will read them to you. They are rather brief. These are rather clear texts and statements. It is an authoritative admission of capital importance which spares us the trouble of proving these statements. If they themselves confess that this is the case, there is no longer any need for us to prove it. Vatican II was altogether a conciliation of the Catholic religion, of the Church’s faith with liberalism, with the revolution and the principles of the French Revolution, and even—as the pope says elsewhere—a reconciliation of the idea of faith with Enlightenment thinking. These statements call for several reflections and comments. “If the Second Vatican Council had really taken liberal values and had corrected, purified and amended them, then they would quite simply have rediscovered the perennial Catholic truth, since they were distorted Christian truths. Liberalism is a Christian, Catholic heresy (with respect to its origin, I mean). On the other hand, it was nevertheless reckless to attempt this conciliation when the constant Magisterium of the popes, for two and a half centuries, has condemned these supposed “values”: they have been condemned wholesale and retail. Not only the possibility of such a conciliation was condemned, but also the necessity of declaring such a conciliation. This is the Syllabus; this is Pius IX. MANY of my family and friends who are deeply immerced in the post-conciliar “church” never heard of the Second Vatican Council. They ignorantly believe that the “church” they attend has been unchanged since the time of Peter and the Apostles. The younger ones don’t have a clue and the older ones have lost their memory to modernism whether they know it or not. Mission accomplished! The consequences are worse than we know….until the triumph of Our Lady’s Immaculate Heart. The Novus Ordo Missae is the principle means of the ordinary layman being in contact with the Church. The Novus Ordo Missae supresses the essential nature and purpose of the Mass, giving way to modernism and ecumenism. The Novus Ordo Missae does not therefore profess the Catholic Faith, and by attending it, the faithful are not professing the true Faith. Pius XII said that Baptism and the profession of the true Faith are both necessary to be considered a member of the Catholic Church. Those who attend the New Mass eventually lose the Faith, and therefore are unable to identify heresy when it is right in front of them. Whether or not they are culpable is for God to determine, but nevertheless, they still materially lose the Catholic faith and fail to profess it. Such was the fate of millions of souls in England and Germany, who began as Catholics, but had their Faith taken away from them by attending the new church services of heretics in the Sixteenth Century. Lex orandi, lex credendi. Thus, the Novus Ordo Missae cannot possibly come from the One, Holy, Catholic and Apostolic Church, but a great counterfeit religion which retains some vestige of Catholicism in order to deceive the faithful. Papal Subject-That’s how I see it also. There are no graces in the N.O. The anguish of soul that is caused by looking more and more deeply into the Crisis is almost beyond comprehension. I can’t tell you how many sleepless nights I have had over the past few years while studying these issues. It seems the answer to the crisis is that a satanic counterfeit religion is masquerading as Catholicism in our time. The Catholic Church, while still indefectible, indestructible, ever pure, untainted by heresy, ever the spotless Bride, is in eclipse, and is reduced to a much smaller number of Faithful than we have been used to in the history of Christendom. This extremely unusual situation that God has permitted for His own purposes is the reason why it is difficult to accept. 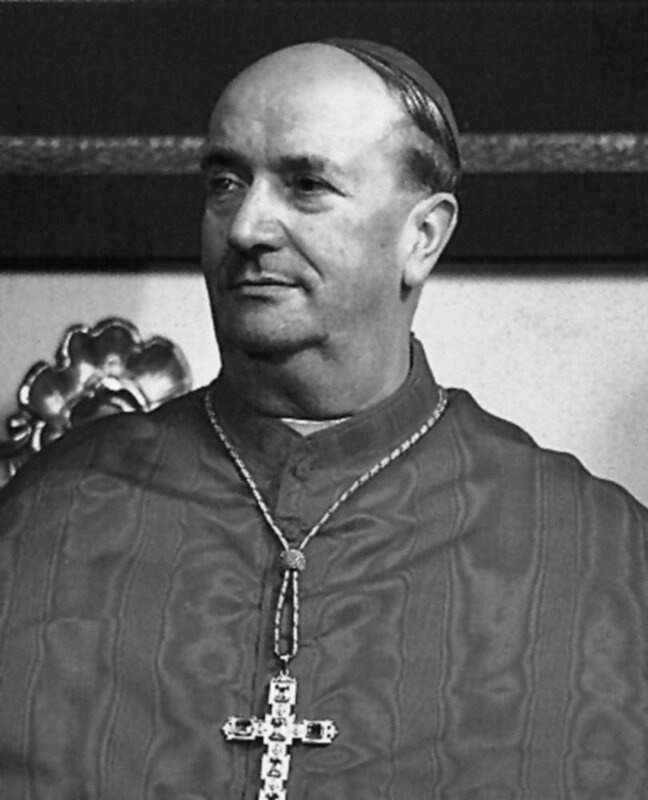 You call yourself “The Papal Subject.” Yet, if you reject Amoris Laetitia, as you probably do, then you are as little a “Papal Subject” as is (for example) Charles Curran, who famously rejected Humanae vitae. Dear RH–Please define the term “Revisionist Historian”. Are you revising (changing/altering) history to meet your own ends? The name I use here has two meanings, just as the term “governing Spirit” in Paul VI’s new rite of episcopal consecration has (at least) two meanings. 1st meaning: I am a papal subject, because I am a Catholic. If there was a Pope, I would be happily subject to him. 2nd meaning: The papal subject i.e. the subject or issue of the Papacy in our time is a great mystery, and the resolution to the problem of the greatest crisis in the history of the Church lies in going to the heart of the matter. The best explanation is that the cause of the crisis, the attempted destruction of the Four Marks of the Church, came directly from a supposed Pope, and has been carried on and promoted by successive claimaints to St Peter’s Chair. Therefore they cannot be true Popes, because they are teaching heresy and promoting apostasy, and do not profess the true Faith. You speak the truth. I know adults at my former New Order parish that have never heard of V2, and they’re in their 40’s. Far more sadly, and I mean this, these exact same adults have no idea Who it is inside the Tabernacle. She said, “Oh….”, with a look of total confusion. And then she looked sad. She’s not a bad or dumb woman, just poorly catechized, failed by a lost Church. I am a little suspicious about Cardinal Ottavani writing this with the use of the words “Holy Spirit” and “the people of God”. The Church had always used the term Holy Ghost and very rarely spoke of Catholics as “the people of God”-until Vatican II. I posted a question to you about “Dr. Coomaraswamy” on a previous post. I’m sorry. I didn’t go back to the previous post and respond to your question but have now read it. I am aware that Dr. Coomaraswamy was very critical of the reforms in Vatican II. He was particularly critical of the Novus Ordo. Since I cannot provide the link to his personal correspondence, I will simply provide the opening paragraphs to it which explain it. Dr. Coomaraswamy explains that “this correspondence which took place some 20 years ago represents a debate between myself and Mother Theresa. She and I had a long and intimate relationship dating back to the fifties when we met in India, where I had the privilege of working with her in Calcutta. Subsequent to that, I had cared for her and her nuns as a physician and surgeon in New York City, and indeed had operated upon her. She had accepted my 8 year old daughter who was dying of leukemia into her order and frequently visited at my home. In addition, my wife, an attorney, acted as her lawyer in the United States for many years. With the benefit of 50 year’s hindsight, we can see what has unfolded from the bad seed. But in 1966, it was still mostly hidden, and only starting to manifest itself. It was still a full 3 years before he signed the Intervention, which could only be endorsed by someone who had the Faith. I’m thanking God He fixed it so rotten fruit gets moldier and smellier every day until even a person with a weak nose and bad eyesight would throw it out. of Dogma and praxis, is going to the trashbin of history, along with evil concepts like – a mortal sinner, “under certain circumstances”, is welcome to receive and worthy of Holy Communion, without giving up their sin. ” Time/Fortune Global Forum 2016 just announced their inaugural gathering of the world’s top 500 CEOs and Time magazine’s 100 most influential people to be held ” IN THE VATICAN, DEC. 2-3, 2016. The conference will be capped by an address from the Holy Father.”. …..“Time Inc. is honored to present this unique gathering of GLOBAL INFLUENCERS….. WITHOUT HAVING TO DEAL WITH THE ACUTAL RULES.”. Garbage day is coming… Hold on to your Bibles and Rosaries and do the right thing. Just following in the steps of his predecessor’s. When the pioneer traditionalist Patrick Henry Omlor heard that very speech of Paul VI to the UN on the television in 1965, he said to his wife, “That man cannot possibly be the Pope”. The French Revolution In The Church !!! Its All There Folks !!! Just so. Yet Mr. Verecchio then exercises no hesitation whatsoever in his own rejection of the ordinary Magisterium of the Church – precisely in the form of Amoris Laetitia. 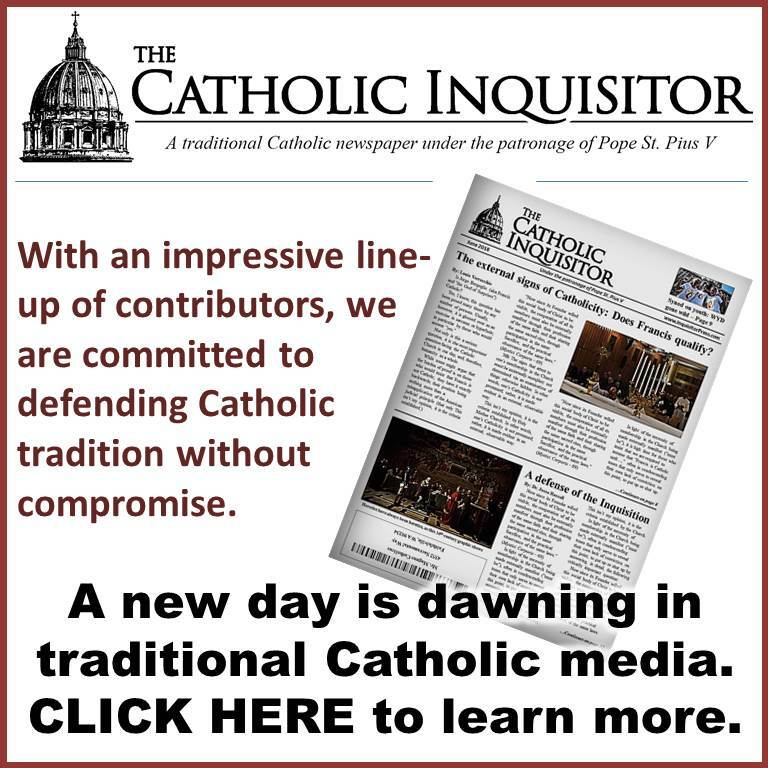 The inconsistency is glaring, and its ultimate implication is that Tradition and Authority as defined by the Catholic Church are incompatible. May I ask why you think it is wrong for Mr. Verecchio to express his agreement with the President of the Polish Bishops’ Conference? ” Archbishop Stanislaw Gadecki, issued a statement following a closed door, “no speeches” meeting of the Polish bishops with Pope Francis, who had just arrived in Krakow for World Youth Day. In the statement, Archbishop Gadecki said that giving communion could not be allowed even after a period of pastoral discernment, as Pope Francis seems to support. He reconfirmed constant Church teaching that if remarried divorcees had entered into a valid first marriage, they cannot receive the Eucharist unless they choose not to express their love for one another in conjugal union. “This [communion for divorced and remarried] cannot be solved in a confessional box in two minutes or even a couple of years.” the archbishop told reporters in a press briefing. The bishops were merely upholding the teachings of Christ on marriage, “what God has joined together…” and 2,000 years of Magisterial agreement with it, including the Council of Trent on the indissolubility of Marriage, and more recently, St. John Paul II’s affirmation that Communion cannot be given to the divorced, non-annulled-remarried until they repent of their sin and cease to commit it, is a very respectful treatment of the ordinary Magisterium of the Church, is it not? We are obligated to instruct the ignorant by the Spiritual works of mercy. I would add that there are many other instances in which Mr. V. and other faithful Catholics have voiced opinions regarding such things as the errors of Vatican II, example Nostra Aetate’s concept that we worship the same God as the Muslims. There too, he is in full agreement with the Magisteriums of the past and present, which have not wavered from the teachings of Christ. also responding to a question about whether Catholics and Muslims worship the same God and whether Catholics are bound to believe Vatican II’s definition of Islam. “Nostra Aetate, the Second Vatican Council’s declaration on the Catholic Church’s relationship with other religions, “is not a dogmatic document,” . What you say here merely illustrates that the Polish bishops are just as blatant as Louie Verecchio in running afoul of Cardinal Ottaviani’s entirely justified requirement that they simply submit obediently to Pope Francis’s Magisterium. If there is a contradiction between Pope Francis and earlier Church teaching, that is merely evidence that the Catholic Magisterium is not unchanging, divinely guaranteed, etc., etc., in the first place. In Roman Catholicism, Tradition and Authority contradict one another. The response of the Polish bishops, Louie Verecchio, etc., to Amoris Laetitia is just one example of many that makes this contradicition glaringly manifest. The ancient Churches of the East do not have this problem, and I recommend an examination of their views of Tradition to the serious consideration of every reader of this blog. 1) Insofar as the irrevocable doctrines Vatican II manifestly contradict the dogmas of earlier ecumenical councils, the contradictions point up the false and non-divine nature of Catholic teaching authority. 2) Insofar as Pope Paul VI approved and promulgated such contradictory dogmas, one is running afoul of Cardinal Ottaviani’s counsel, and also running headlong into the contradiction in Catholicism between Authority and Tradition. Again, the ancient churches of the East do not have this problem. None of them have an infallible supreme Authority that could possibly create the kinds of contradictions that are rampant in the Catholic doctrinal edifice. Come on, man. Open your eyes. We owe obedience to the unchanging Truth because Our Lord IS truth, and our first duty is always to Him. Frances is no exception in owing that obedience. Dogma is clear on Marriage being indissoluble. Francis tries to give his personal permission to go against it. It’s a no-brainer. He’s not just going against past magisteriums, he’s going against God. We’re waiting for him to be ousted. Ex Cathedra declarations are infallible, not Councils that specifically claim NOT to be dogmatic, but only pastoral. And not opinions of left-wing commies from Argentina whom this Pope frequently employs to write his stuff for him. There is no contradiction between the Authority (God) in the Catholic Church, and the Tradition handed down from the Apostles. THAT’s how we puny little lay people can still go by our “rightly formed consciences” in determining right from wrong on all these issues. A 7 year old could do it. The Eastern Churches will one day return to the fold, because they will realize that they have strayed from truth –precisely because they did not believe God had guaranteed it Himself in all dogmatic statements declared by true popes. You’re peddling your lack of Faith here, and I’m sorry to see it. I hope God blesses you with a more common-sense approach to truth, so you can be at peace in the one true Church, as we go through this distressful time foretold by Him. You’re right that anyone can pick up a Rosary, so it’s not a sure sign that they’re on track about their beliefs. But it’s certain that God will bless any sincere seeker of Truth with Divine assistance, in the end, and Our Lady will assist those who are truly devoted to her. Sorry, it appears I mixed your comment up at the end there with someone else’s regarding the Rosary. I also meant to point out the error of the Easter Church in allowing a divorce and remarriage, contrary to dogma. There’s just no place like home, and frankly, no where else to go or to hide.We, here, are somewhat aware of the evil men, these instruments of the devil, working within The Catholic Church- just trying to destroy Her. All I could say is Our Lady of Good Success wasn’t kidding. Just stay close to her-extremely close. She will end this crisis within the Church and promised a Complete Restoration! I will be there, through the Grace and Mercy of God. I will be there to witness My I mmaculate Mother’s Feet trample that old serpent. How often I have gazed upon so many wonderfully Catholic statues depicting the scenario which will be ours to finally witness! I shall not miss it! 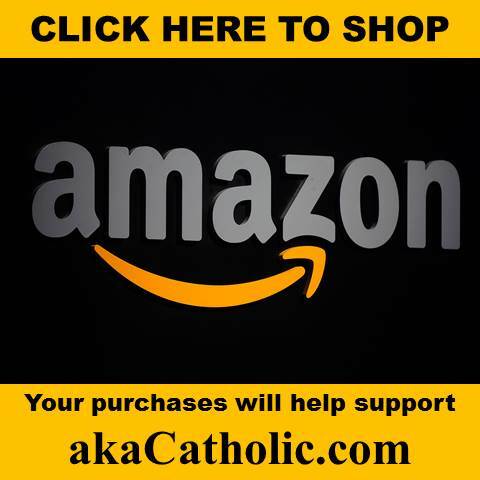 Why would any Catholic? This will be a Most Amazing Triumph of Her Immaculate Heart! She has promised us. Remember Fatima? How could ANYONE want to leave now? This is our Faith! This is what we’ve been waiting for! Hang on to your Rosary. God, has allowed this bunker, The Refuge of His Mother’s Immaculate Heart, within the bosom of The Catholic Church! Yes and remember that the Novus Ordo people have the Rosary also. Yes. I was born and raised Novus Ordo through no fault of my own. I attend novus ordo every Sunday, Holy Days and some weekdays. I am not able to attend Latin Mass. Yes, you are correct. I do have the Rosary. I say the Rosary every day, and through Gods Mercy am humbly learning what it means to be Catholic. God is Good to me and has given me so much even though I have only know life and only have existed during this present crisis within Our Church, which Our Lady of Good Success prophesied about. We’ll make it through this, by trusting God’s Word. The Book of Revelations gives sound advice and repeatedly: Persevere to the end. I read that Mother Mariana de Jesus, agreed to postpone entering heaven, in order to come back from death to life and suffer for the Church of our times. What kind of ingrates would we be, if , knowing that, we don’t show our appreciation by offering what we can for our own? Keep the Faith, and keep sharing it. You’re helping people, I’m sure. As you learn more about what it means to be Catholic, you will wean yourself off of the Novus Ordo Mass. The Ten Commandments require that you keep the Sabbath holy. It is the Church that tells you the best way to do that is by going to Holy Mass. If the Church does not provide you with a Catholic Mass, it is the Church’s fault and not yours. When you come to that point, you will stay at home and pray an additional Rosary, take your Missal and read the Epistle and the Gospel for that Sunday, etc. A Catholic is not allowed to approach a doubtful Sacrament, which is the definition of a Novus Ordo Mass. Once a year you will be able to travel to an SSPX Chapel and receive a valid Communion. Yes. Mother Marianna was a victim soul for our time. She did this for us, who remain in the Bosom of Our Catholic Church as She undergoes terrible persecutions in this crisis. I am not leaving Her, but staying close to Our Mother. Basically, I’m a little nobody following orders from Our Lady of Fatima. I have made 5 First Saturdays and have received Our Lord there in reparation for the offenses against Her Immaculate Heart. I am in the midst of 5 more First Saturdays. All of these I have made were at novus ordo masses. It’s all I got. That is maybe why she said to receive”Communion” on the 5 First Saturdays. She wouldn’t tell us to do this if it were so impossible. Faith! What’s made it even harder for the faithful is that we’re now into decades of unsound catechesis transmitted by modernist with penchants for subterfuge – painting gray areas where none exist and using the language of double-speak (giving novel meanings to age-old terms). It’s such a relief to have access to so many good traditional materials, and someone like Mr. V. to give us a heads-up and links to the best of them. Speaking of Catholic links, and today, being the Feast of the Nativity of Mary —I just learned two facts about women that relate to Our Blessed Lady, and add more richness to the explanations of her immaculate conception. 1. Women carry all the eggs they will ever have, from early in their fetal development onward. So Mary had the egg with 23 of Our Lord’s chromosomes IN her, from the time she was a fetus in her mother’s womb until God miraculously added the other 23 on the day of the Incarnation. Amen. The Magisterium is necessarily bound by the Deposit of Faith – it does not have any power or authority to deny it or purport to change it, to add to or subtract from it. It’s authority is circumscribed by its mission to defend, uphold and teach the unchangeable Faith as given to us by Our Lord Jesus Christ and his apostles.